I make no bones about it, I enjoy Mark Twain. I haven’t read every piece he ever wrote, but I have a lifetime to get them all done, but suffice to say that those I have read, I enjoy. 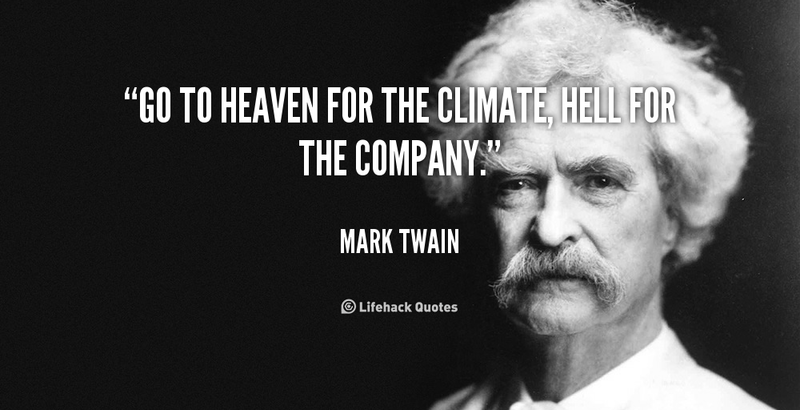 I like the man Twain as well. Maybe a bit bitter towards the end and with good reason, his humor still resonates with me, his descriptions I love, and the way he wrote dialect- pure genius. My favorite book of his is Life on the Mississippi. I know it’s not the popular choice, but it’s the one I can pick up again and again. Roughing It ranks pretty high up there with me too. The Adventures of Huckleberry Finn, however, is known to be his masterpiece. I would not ever try to dissuade anyone from that opinion. It is within the pages of Huckleberry Finn that I believe most will find and recognize that their humanity and ability to see the humanity in others rises above any feelings of race, prejudices, and environmental indoctrination one might have received. Twain, I believe wanted to paint the picture of how it was, and at the same time how it could and should be. I believe it transcends just the question of race, but includes any point of difference we come across. In an age of re-doing all the movies ever done, why doesn’t anyone look to make a movie from Twain’s Masterpiece? The Disney version was OK as a kid but I can tell you, I never learn the lesson that I think Twain intended. In a time, at least in the USA when maybe we need a refresher course on looking beyond the tone of skin, of understanding another’s point-of-view, and of being tolerant of our own history; maybe Twain still has something to say. ← The End of My Kind?